Our recommended selection of the most useful and well-written Ecommerce extensions - high quality, secure and tested by various customers! Enhance your experience by using our Ecommerce extensions: open-source plugins, modules and components by sellers from wordwide. 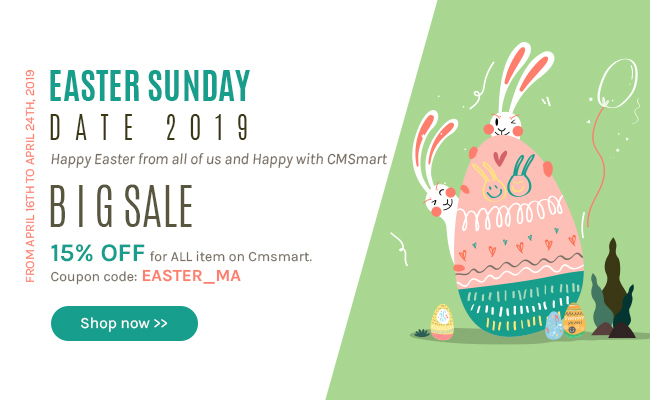 This is the best place that you'll be impressed by many useful Ecommerce extensions with advanced functions and nice design. Besides variety of Ecommerce extensions, we usually provide update version providing the new vital functionality with the desire of constantly perfecting your e-store and boosting your sale revenues. When you meet any problems or raise any questions in terms of installation and operation, do not hesitate to contact us, our supporting teams are always ready to help you at any time of day, seven days per week.